Crime is coming to HLN. Variety reports season three of CNN’s The Hunt with John Walsh will be simulcast on the network’s sister channel starting in June. The docu-series explores unsolved, high-profile criminal cases from the perspective of witnesses and police officers. The decision to simulcast The Hunt is part of a broader move to link HLN (formerly called CNN Headline News) with its parent network, CNN. In addition to The Hunt, HLN will also begin to air other CNN original series as the channel develops its own content. Season three of The Hunt begins on June 19th on both CNN and HLN. What do you think? Do you watch The Hunt with John Walsh? Will you watch the series on HLN? More about: CNN TV shows: canceled or renewed?, HLN TV shows: canceled or renewed?, The Hunt with John Walsh, The Hunt with John Walsh: canceled or renewed? Dr. Drew: Was the HLN Show Cancelled Because of Clinton Comments? 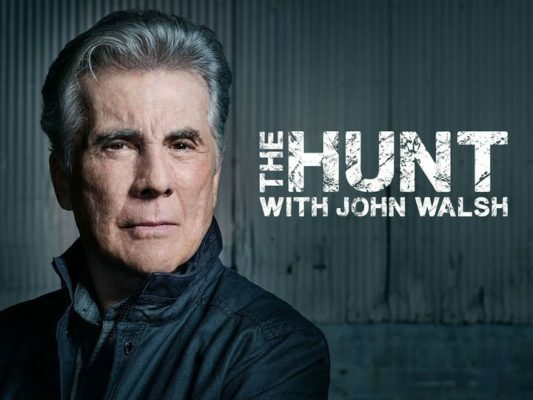 Is the hunt with John walsh not ever coming back on tv? If not, I think it’s terrible. He is a wonderful man doing a great job of finding low- life’s in this country and other ones. Just tell me if he’s never going to do a wonderful show like this. Thank you. You do a great job John Walsh. Yes I think John Walsh is another great risk taker and speaks out for the victims that have no voice or are ignored by the official channels to get help. He helps to expose and uncover the criminals that are in the dark. He is an asset to our modern time of horrible corruption and crime toward the innocent folks in our neighborhoods. Please give these courageous persons like John Walsh a platform to help us that do not have a place to turn to. He gives us hope.